Student nurses’ first clinical placement are often reported as a positive experience, with students saying they feel welcome and supported (Happell 2008; Mullen and Murray 2002), although this is not the experience of all students. Koskinen et al (2011) found student nurses felt unprepared for their first mental health placement and Mullen and Murray (2002) noted that students who feel inadequately prepared for their practice placement are more likely to miss out on valuable learning compared to those who are better prepared and feel more confident. 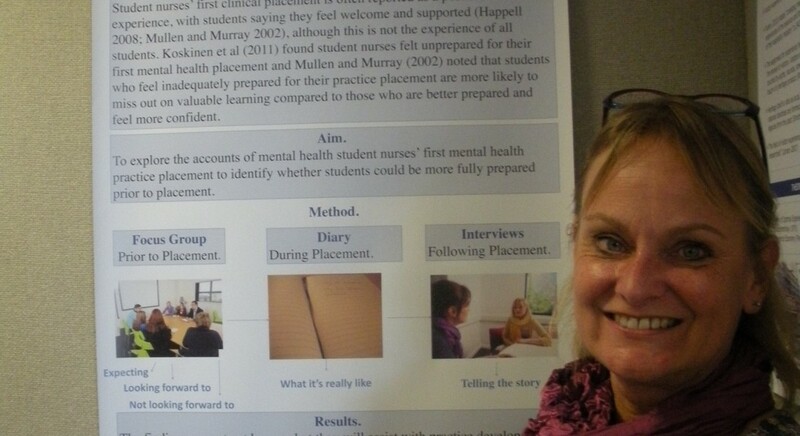 The aim of this study is to explore the accounts of mental health student nurses’ first mental health practice placement to identify whether students could be more fully prepared prior to placement. The research will take the form of a narrative enquiry and will make use of focus groups (totalling approximately 16 different students), diaries (the same 16 students) and face to face interviews with a maximum of 8 of the same students. Prior to placement, all participants will be invited to take part in a focus group of approximately 8 students, with the objective of exploring their expectations of this first practice placement. During the placement, participants will be asked to compile diaries to keep an account of what they consider to be their own significant placement experiences. These diaries will provide the cue for the interviews with those students who are invited to interview after the end of their placement. The study will provide an account of mental health student nurses’ first practice placement and highlight the experiences the students consider to be significant. The narrative accounts will also highlight any potential for additional support or preparation to enhance student placement experience. 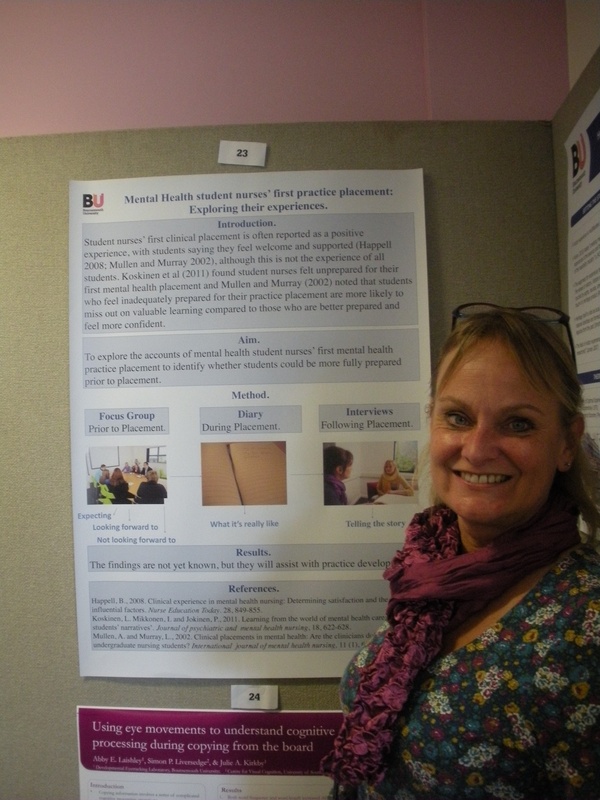 This is an under studied area and is important because of the potential impact on the overall first practice placement experience of mental health student nurses in terms of staff retention and preparation for practice placement. The above research forms part of my Professional Doctorate. As a chartered psychologist in the area of teaching and learning, and having worked with mental health student nurses over a number of years, I am especially interested in their experience of their first practice placement in a mental health environment. My main role at BU is Lecturer and Unit Leader for both Pre and Post reg courses in the School of Health and Social Care.